LinkedIn Groups are an easy way for you to start an online community for your company. If you already have a lot of customers and prospects who are LinkedIn members, starting a LinkedIn Group for them is a smart thing to do. The discussions in product-related communities are amazingly focused and on-topic. You don't see many people asking questions about other Adobe products or competitors' products in the Photoshop communities because the members are knowledgeable enough to keep the discussions focused. If someone starts a discussion that isn't relevant, a group member or moderator will often suggest a better place to post that question. These communities are often self-policing and self-supporting, which makes the community much stronger and more vibrant. Closed groups generally will be smaller and more focused, since every member is manually approved by the group manager or moderator. You usually don't have as many new discussions or comments, but the discussions are very focused. You also have a small community of experts who are very knowledgeable about specific products or topics. There are a lot of factors that come into play when deciding how to structure your group, and it's imperative that you have a plan and a goal before you begin. Your reputation is on the line when you create a group. Identify your purpose, allocate resources and create a detailed plan so that your group will thrive and provide value to your company. Once you've seeded the group with some stimulating conversations, you can start promoting the group to your network and through social media. The best way to invite others to join your group is by sending an invitation with a personal message to let them know who you are and why you want them to join the group. You can encourage members to invite their friends to join, if they use personalized messages. You will then be able to approve or decline new invitations as you see fit. 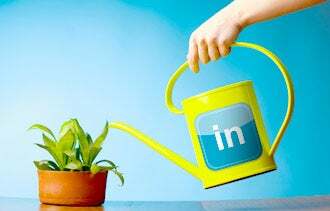 If you want to grow your group quickly, you can start promoting it via social media and also run ads on LinkedIn.